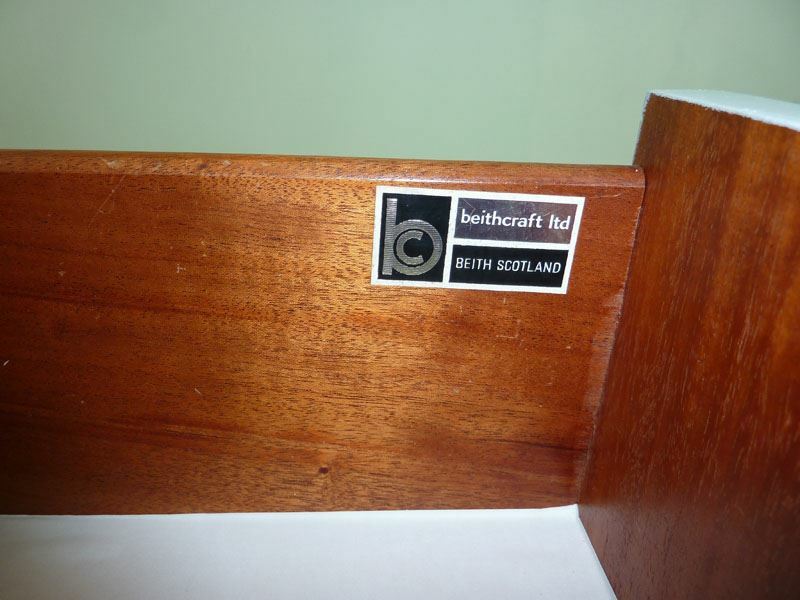 A vintage Beithcraft kneehole dressing table and stool. 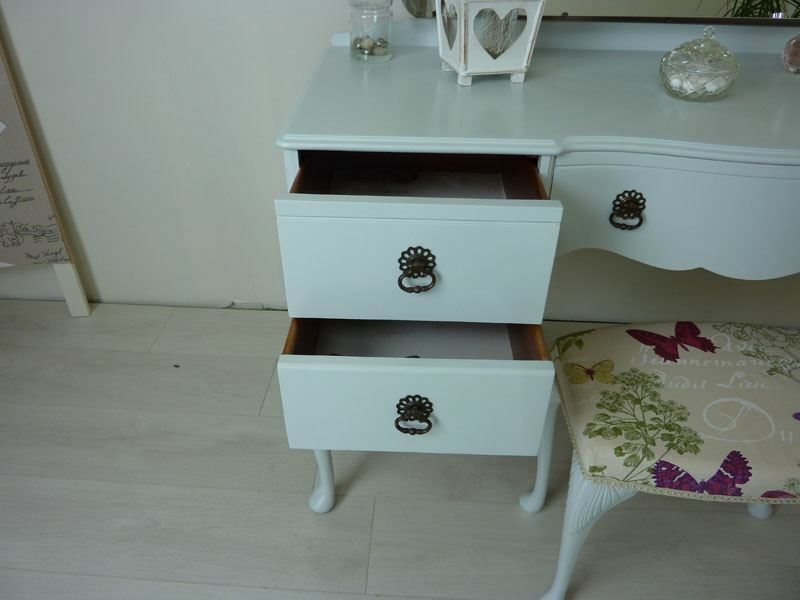 The table has two drawers to either side and a larger central drawer with a shaped front. It stands on Queen Anne style legs and three shaped mirrors complete the look. 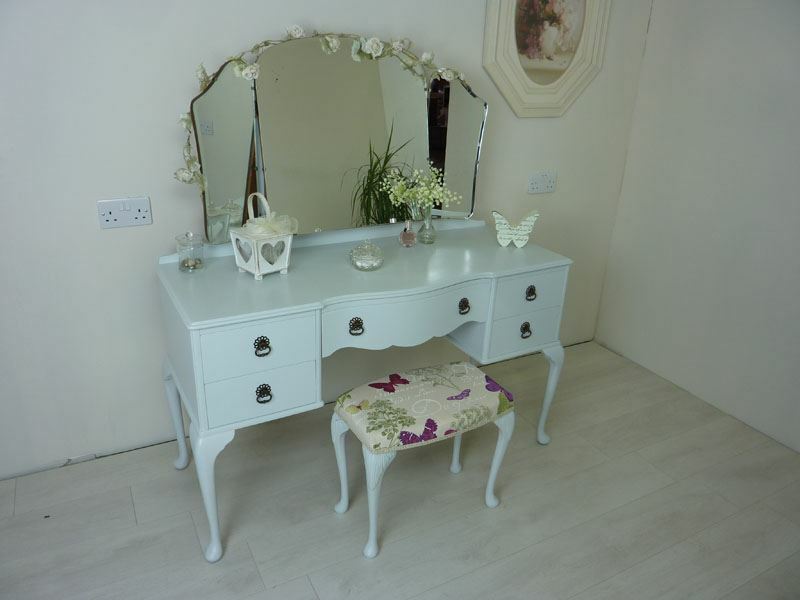 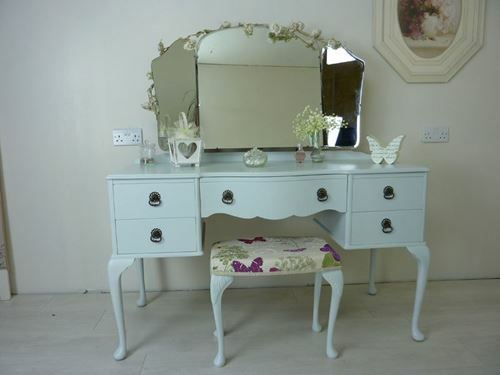 The dressing table was made by Beith, a famous Scottish manufacturer. 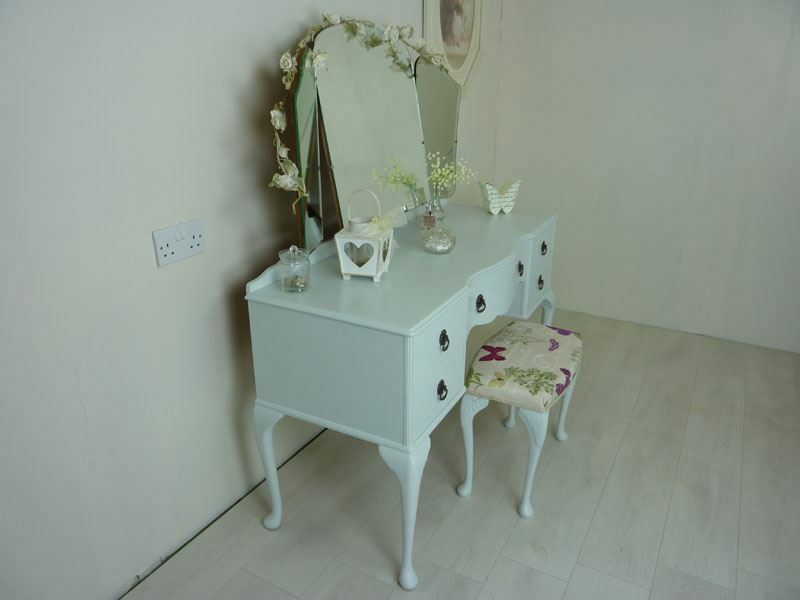 We have painted in "Sookie" acrylic satin, a gorgeous shade. 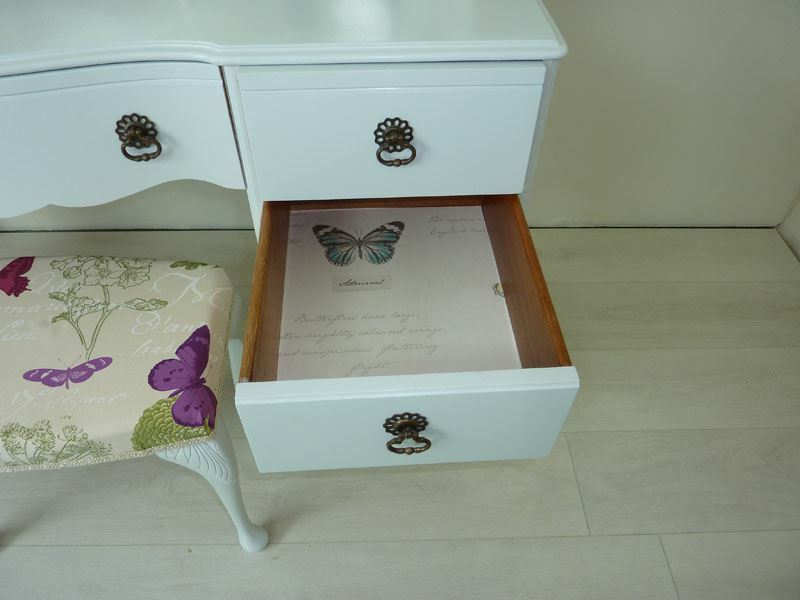 We have decoupage lined all the drawers, using Butterfly paper to give it a new look. 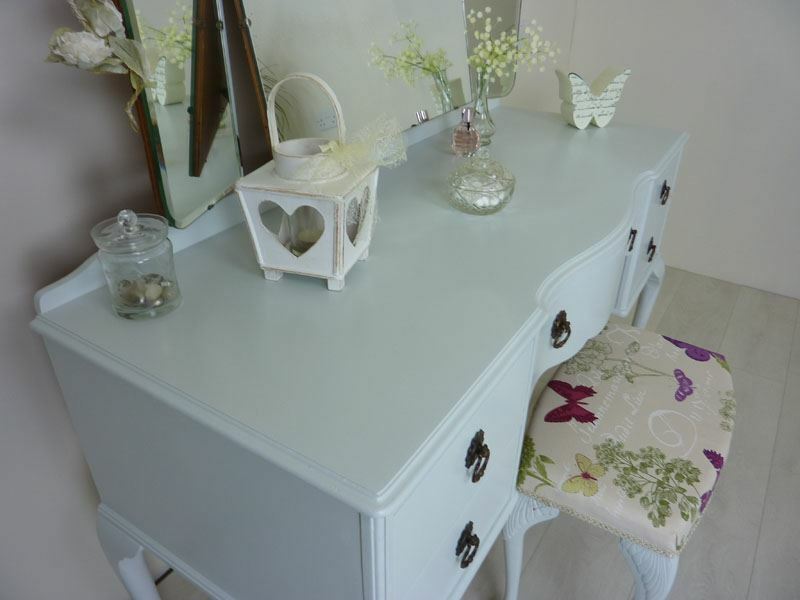 After priming, undercoating and top coating in Sookie we waxed the dressing table & stool legs using carnauba wax to give it a silky and protective finish. 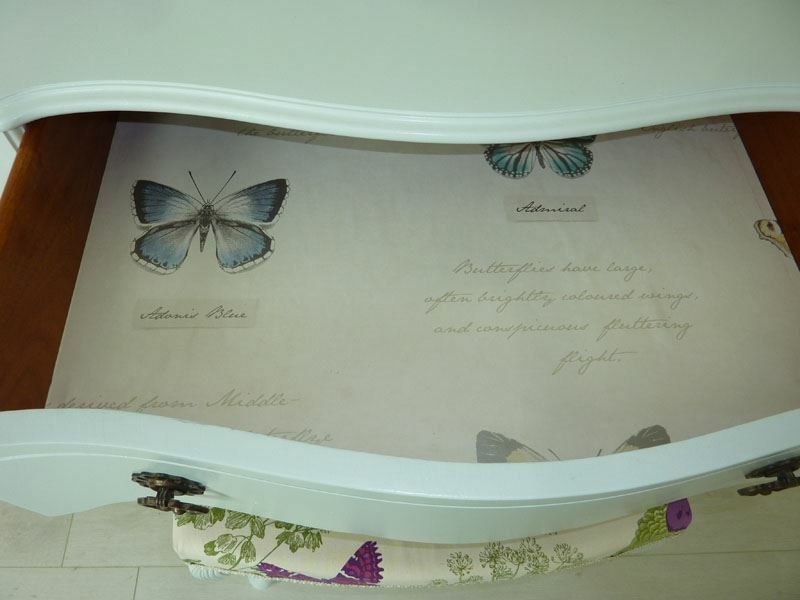 We kept the original vintage drawer pulls as we liked them so much. 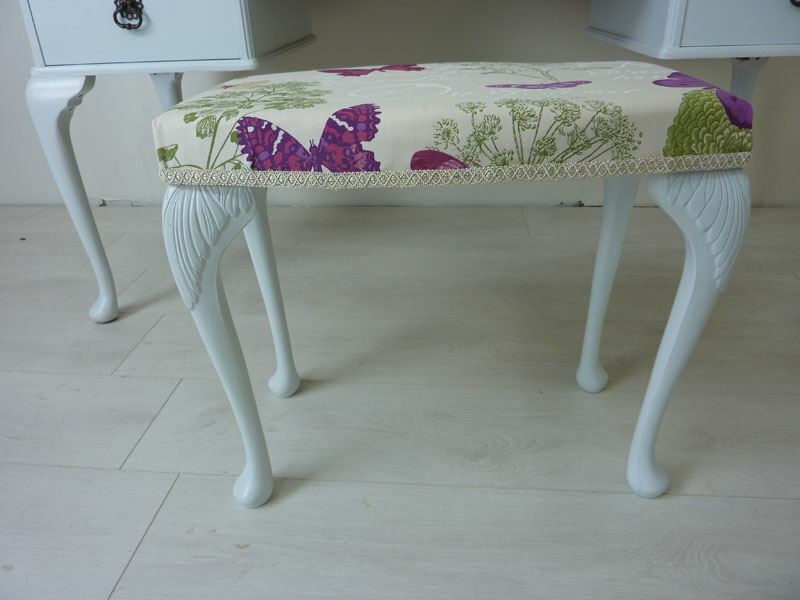 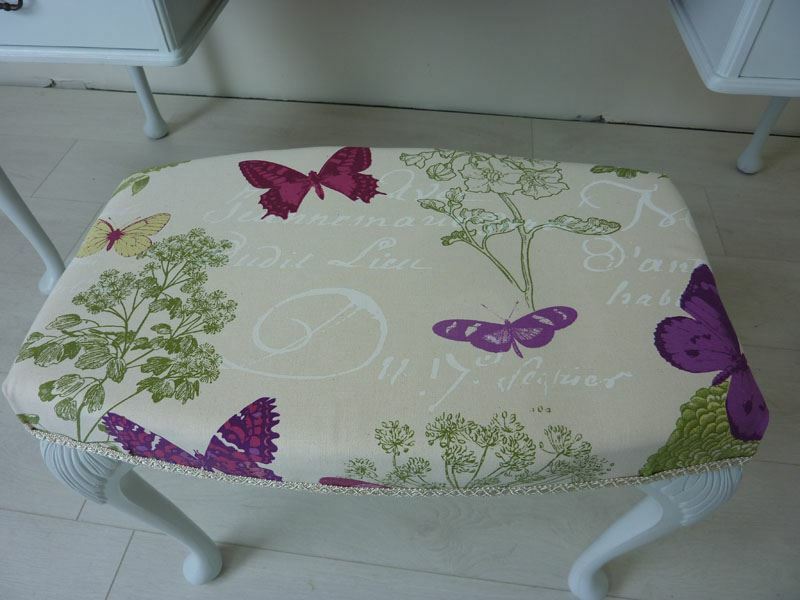 The stool seat pad has been reupholstered in French Designer fabric, this has been Scotchguard protected.